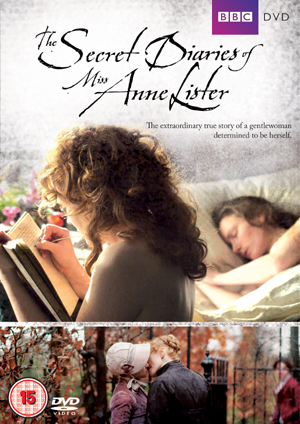 The Secret Diaries of Miss Anne Lister is a movie by James Kent, written by Jane English, starring Maxine Peake, Anna Madeley and Susan Lynch. Anne Lister (Maxine Peake) is a wealthy woman in 19th century Yorkshire who also happens to be a lesbian. She’s very much in love with Mariana (Anna Madeley) who returns her affection. Much to Anne’s surprise though, she discovers that Mariana is to be married to the older Charles Lawton (Michael Culkin). Anne is not willing to compromise, contrary to Mariana which causes a rift between the two of them. The Secret Diaries if Miss Anne Lister tells an interesting story and provides a fascinating look at the life of lesbians at the time. The perfomances are wonderful and the script has a good sense of humor. Very entertaining.